Can you believe school will be starting up again in a few weeks? I’m the type who likes to get my back-to-school shopping and planning out of the way as earlier as possible. I hate fighting the crowds and finding empty school supply aisles at the stores. Last week I shopped for the kid’s clothes and this week we started buying school supplies. We went to Walmart to buy some of the basics like binder and pens. I bought some view binders for the kids and one to create their school year binder. Every year, I create a binder to house their report cards and important school paper work. This year instead of a notebook with a fun design on the cover, I decided to design my own cover. I like this idea because I can change out the cover as often as I like. 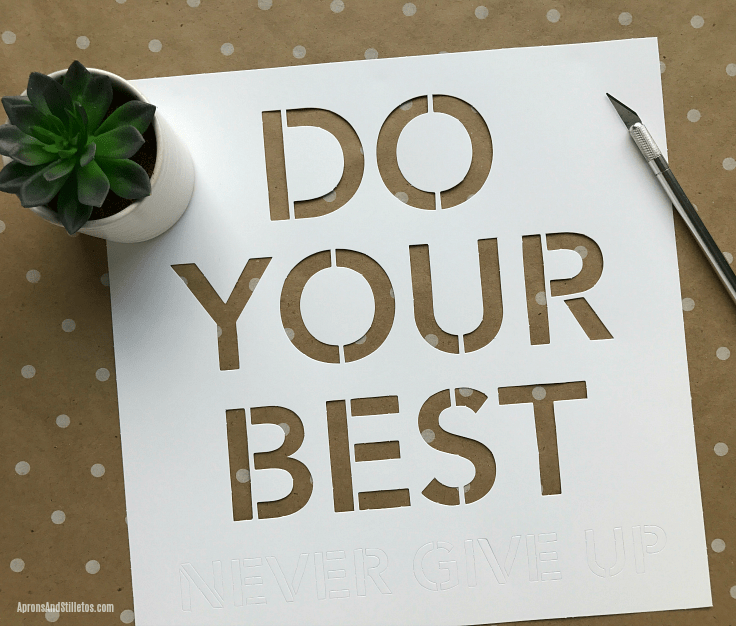 To kick off the school year I’m stenciling an inspirational quote onto poster board using a Pilot G2 Premium Retractable Gel Ink Rolling Ball Pen. These are my go-to pens and the only ones I will write with in my planner. 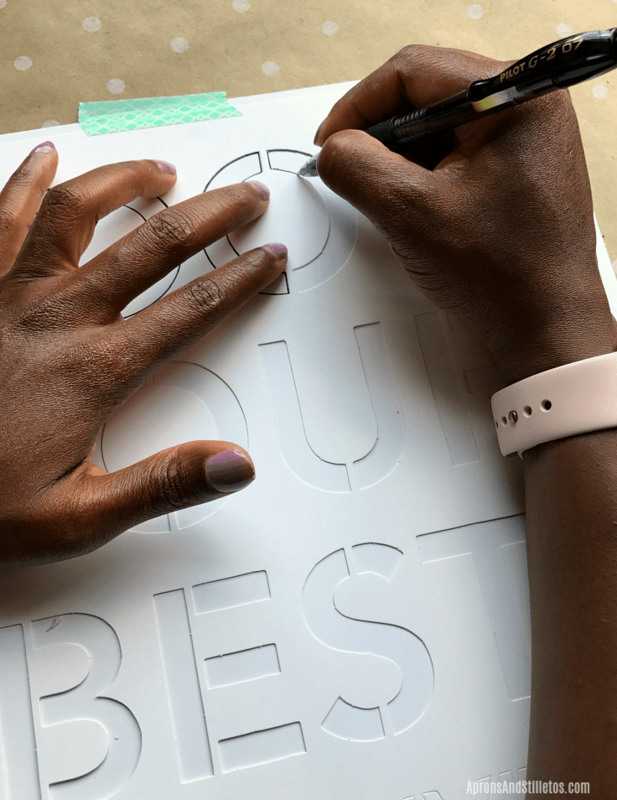 The grip on the pen is just right and not overly chunky making it easy to control the pen for hand-lettering projects. Pilot G2 Premium Retractable Gel Ink Rolling Ball pens come in four point sizes and twenty different colors making them ideal for creating new binder cover inserts all school year. 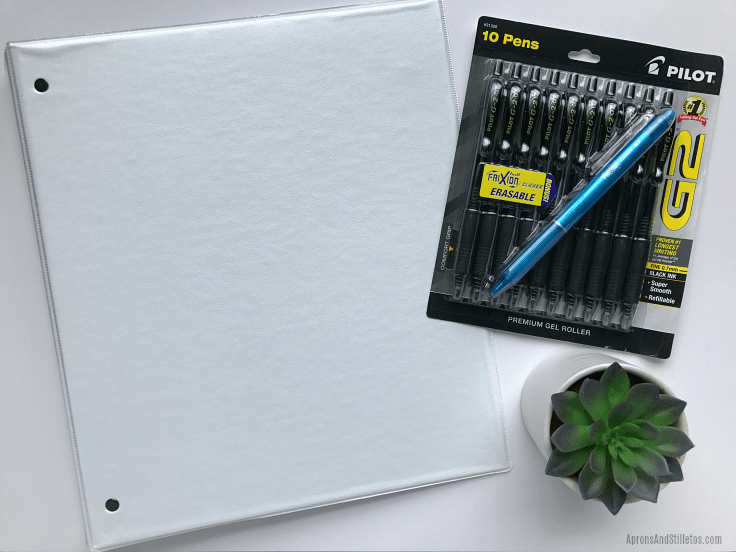 I bought the Pilot G2 Premium Retractable Gel Ink Rolling Ball Pen and used the $0.75 off one 4-pack printable coupon below. I have these pens in every color including the metallics and love writing with them. Today I’ll show you the first cover I created using the Walmart Exclusive 10 – pack, fine point, black ink, Pilot G2 Premium Retractable Gel Ink Rolling Ball Pens with Bonus FriXion Pen. Mouse over the image below and click on products to shop for the project supplies I used. The first thing I did was remove the insert from the cover of the notebook and used it to trace the same shape onto a piece of poster board. I cut out the shape and prepped the stencil by popping out the negative portions. Next, I centered the stencil on my poster board and tapped it to keep it still. With the comfortable grip and smooth writing gel ink tracing the letters neatly onto the cardboard was easy. Once the tracing was done, I used the pen to color in a few of the letters for more impact. Using some flower shaped stencil and the bonus FriXion Pen from the pack of pens, I added some color to the corners. Once the cover was complete I worked on setting up this school years notebook. Let me know if you’d like me to share a tutorial on how I manage their school work using this binder. When it comes to staying organized with kids during the school year I’m an overachiever. 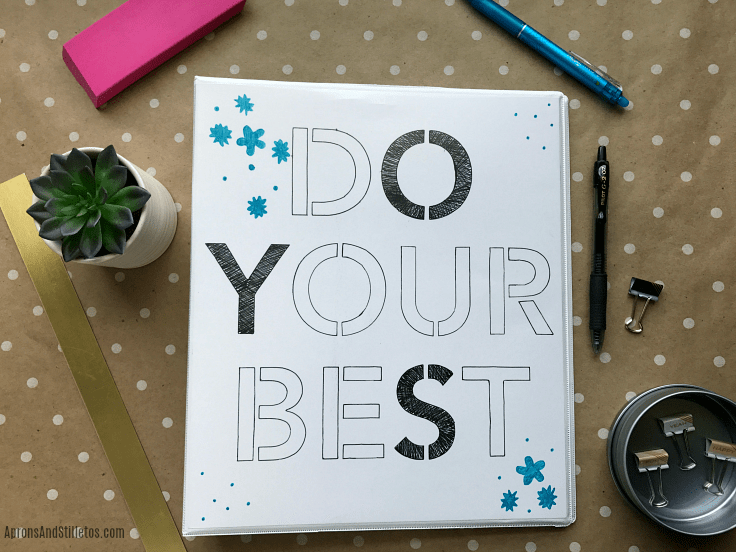 I love planning ahead for a smooth back to school transition and hope this tutorial inspired you to get organized. G2 is America’s Go-2 gel ink pen. It’s known for its smooth writing and comfortable grip and it’s the #1 Selling gel ink brand in America (NPD, 2015). You can find these Exclusive G2 pack assortments at Walmart during the Back-To-School shopping season. Have you tried these pens yet? What’s your favorite color? Great Idea! I wish I would have thought about something like this before I sent my kids supplies to school. A little positivity on their binders would have been great to have. Oh man, I forgot how much I love doing stenciling. It’s actually a craft I can do, I have always done walls. Binders sound fun. 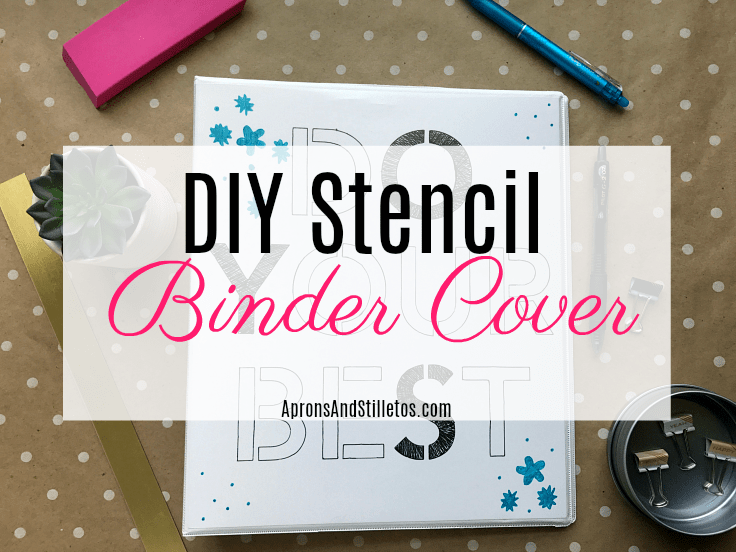 What an adorable DIY stenciled binder cover! I love personalizing my things with my own hand! Well yours is better than any I’ve seen in stores! I love how it turned out. So pretty! I do hate waiting until the last minute for school supplies. A lot of the school supplies would be already gone in the stores. 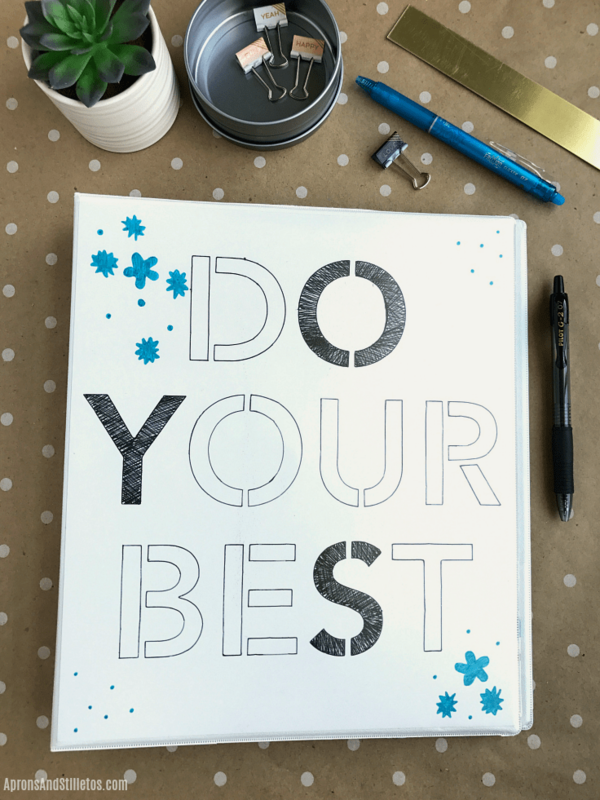 I like your DIY stencil Binder Cover. My kids would love to try this idea. I only buy the binders that have the slot just so I can decorate the covers. This is a good idea. This is one of the reasons binders with clear pocket covers are great. Doing this means you can resuse the binder and change the cover, saving money.